The Global Clinic Rating (GCR) is an international healthcare clinic standard for patients, for the media, and for the clinics themselves. You might think that selecting the right clinic is more complex than choosing, say, a hotel or restaurant, but GCR assists patients in a similar way to those ratings one might find on TripAdvisor. By constantly monitoring facilities, standards, expertise and patient feedback, a GCR Score is created for a wide range of clinics worldwide. The GCR Score provides a Fact-based Comparison, which allows providers and patients to readily assess and understand the apparent quality level of medical clinics throughout the world. A healthcare provider that has been allocated a GCR Score can be accurately compared with other clinics of a similar score. And, GCR accredited medical clinics can be trusted to offer services that are of an international standard. 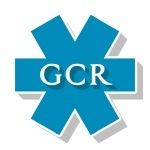 How does GCR help clinics? Since the launch of GCR in 2014, patients worldwide have been relying on GCR Scores to help them choose the right clinic for them. The GCR team has vast experience in the field of worldwide clinic assessment. They are completely independent and can help you make your clinic a more attractive proposition for prospective international patients. What is your clinic score? Contact GCR to find out more about certification and your GCR Score.